We are now accepting reservations at Legenda Suites (renamed El Suites Hotel) at Subic Cubi Point. Legenda Hotel is undergoing change of ownership at the moment so we are still not accepting reservation for the hotel located at the Waterfront Road. The Official Online Marketing Arm of Greater Subic Bay Tourism Bureau. 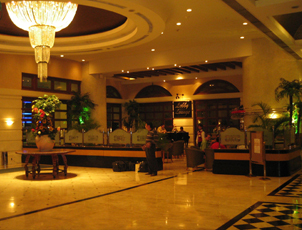 We are here to help tourists and business travelers reserve this and other accommodation facilities in the adjacent areas, experience exciting tour itineraries, manage and locate their requirements for special events, and find business opportunities in Subic Bay Freeport Zone, Olongapo City, Zambales and Bataan. For special assistance or needed details that this website may not provide, please use the "contact us" form. In the heart of this bustling leisure and entertainment capital rise two legendary properties where you can luxuriate, relax and experience utmost comfort. Experience our elegant rooms and suites, thoughtful guest comforts, superb cuisine, impeccable hotel services and warm hospitality. Take the breathtaking drive to Subic Bay and discover its legends where endlesss fun, surprises, and adventures begin. Enjoy a horse-back ride around Subic's flourishing terrain and feel its cool breeze. Take a deep dive and be spellbound by its colourful and fascinating marine life, historical wrecks and other deep-sea wonders or learn survival techniques and other secrets of jungle life from the Aetas.